A large barn conversion contains our two luxury self-catering family holiday cottages. Ideally situated in North Devon for easy access to Exmoor, Dartmoor and those famous North Devon beaches from Bideford to Ilfracombe. Dogs are certainly catered for in these two dog friendly holiday cottages with a separate securely fenced dog paddock for our 4 legged guests to run around in. Exmoor Holiday Cottage and Dartmoor Holiday Cottage, in the heart of Tarka country, make the perfect rural retreat for those wishing to explore all that North Devon has to offer: from traversing the wilderness of either Exmoor or Dartmoor by foot, bike or horse, travelling the Tarka Trail, visiting one of the award winning family theme parks or heading to one of the beautiful North Devon beaches to surf, paddle board or to just simply chill out. 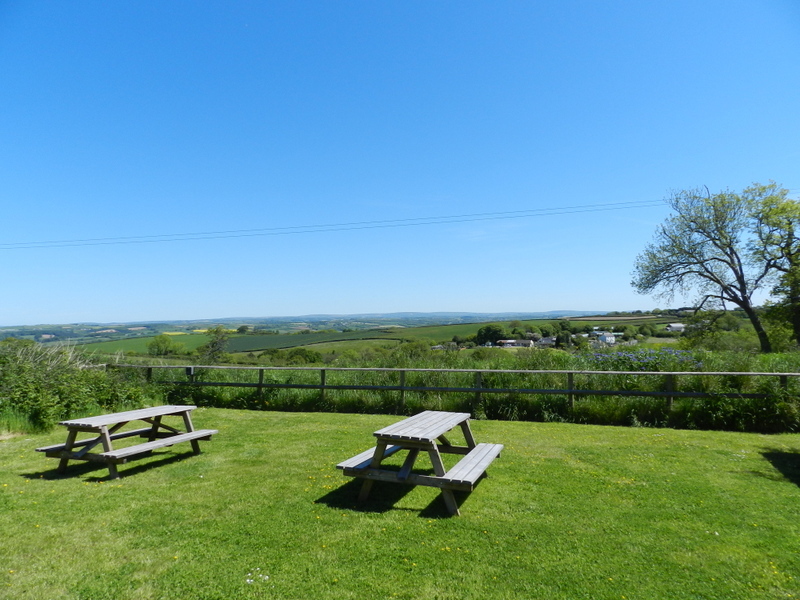 Those who really want to relax can enjoy the rural atmosphere and stunning views on our own North Devon hillside from the comfort of our hot tub and guest garden. With a far reaching vista reaching across the Taw valley all the way to Exmoor, the sunsets and sunrises here are simply breathtaking. For those astronomers who like to do a little stargazing these two North Devon holiday cottages are situated on the edge of one of the darkest areas in the country with very little light pollution. If you are interested in astronomy why not bring your telescope with you? Or simply pop yourself into the hot tub with your favourite tipple, sit back and admire the Milky Way in all it's glory, even with the naked eye. If you have friends or family getting married at Country Ways or The Millbrook Estate, we are ideally situated 5 -10 minutes drive away. Perfect additional accommodation for wedding guests in the Umberleigh area. Free super fast Wi-fi. Incredibly fast download speeds (especially for a rural property) means that our guests can easily stream their favourite Netflix or Amazon Prime programmes on their laptops, tablets or phones. 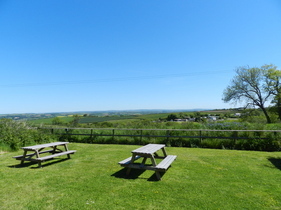 Amazing views from the guest garden of the surrounding North Devon countryside and Exmoor in the distance. Beautiful view even from the guest's car park! Two cars per cottage. We took over Crossways Holiday Cottages in the spring of 2018 and have already received many glowing reviews in the guest books of both Exmoor Cottage and Dartmoor Cottage, on Trip Advisor, AirBnB, HomeAway, Google and on our social media pages.